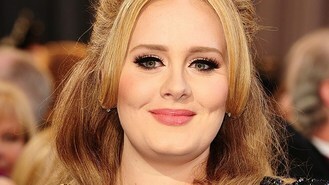 News - Adele to sing duet with Williams? Adele to sing duet with Williams? The Oscar-winning Skyfall songstress has apparently agreed to sing a duet on his next album, reported The Sun. Adele - who attended the Golden Globes with Robbie's wife and fellow new mum Ayda - has previously said she would be up for singing with Robbie, saying: "I'm not doing collaborations. I love to sing with people live rather than on record. If I could do one with anyone - Robbie? Any day." It is thought that Robbie's next record would be another swing and big-band number, like his 2001 album Swing When You're Winning. A source told the paper: "Adele and Robbie have really hit it off. They are great friends and talked at length about doing something together when she was in LA with him ahead of the Oscars last month. "They threw some ideas around but haven't decided exactly what song they'd like to work on. Things are in the early stages." The duet would mark Adele's first collaboration with another artist and could mean a hit for the pair, following Robbie's previous duets with Nicole Kidman and Kylie Minogue.